Avoid booking a trip on 24th, 25th, 26th, or 27th May 2018 as the Monaco Grand Prix will be taking place and this part of the trip replaced. We are comparing Best of the French Riviera Full-Day Tour from Nice Prices from leading ticket suppliers and Try to find you Cheap tickets prices on the market. The French Riviera, also known as the or Côte d'Azur, is famous for its glitz and glamour, a playground of the rich and famous with breathtaking views of the Mediterranean sea. Eze is a picturesque medieval village perched on a hillside which offers up stunning views over Nice and the surrounding area. Monaco is known for its Grand Prix race around the city streets, its casinos, and yacht-lined harbour but it's also the resting place of Princess Grace Kelly. Antibes was once a traditional market town but is now a resort town that houses the largest business and pleasure marina in the whole of Europe - The billionaires entry point! Saint-Paul-De-Vence is a historic medieval walled village that was once a haven for a variety of painters who walked its narrow streets seeking inspiration. Finally Cannes, it needs no introduction thanks to the world-famous Cannes Film Festival. Known as 'The Beverly Hills of France' walk in the footsteps of the famous stars and take in the views of the glitz and glamour from the famous Croisette Promenade. This 9 hour tour is the best way to see the highlights of the French Riviera if you're short on time and cannot spend weeks in each of these places individually! Small group sizes allow for an intimate trip as you get to know your fellow passengers as well as your driver/guide with the opportunity to learn all about this iconic area of France. Some walking is involved as well as a fair amount of travelling on twisty roads so make sure you're able to manage light walking and don't suffer from motion sickness. Your Experience With Best of the French Riviera Full-Day Tour from Nice? Your driver/guide will collect you from your hotel in Nice at the prearranged time and you will travel by minibus with your fellow passengers to the first destination of the day - Moyenne Corniche where you can take in the panoramic views of Villefranche-sur-mer and Saint-Jean-Cap-Ferrat for up to 15 minutes. You will then continue on to the medieval village of Eze where a guided tour of a perfume factory can be enjoyed. Learn all about fragrances and how perfumes are made with a fun sniff test and the opportunity to visit the factory shop. After Eze you will travel to Monaco, arriving in time to see the changing of the guards with a short stop to see the cathedral and the old town. Next your driver will take you on the Formula One Grand Prix road circuit enroute to Monte Carlo where you will see the famous casino and have free time for lunch in one of the restaurants. Next you will travel to the resort town of Antibes for a guided tour. See the marina where the billionaires have their boats moored up and see if you spot any famous faces! You will then leave the glitz and glamorous briefly behind to go to the Medieval walled village of Saint-Paul-De-Vence, a haven for many artists past and present. After walking the historic picturesque streets you'll get back in the minibus and travel to Cannes, the last destination of the day. 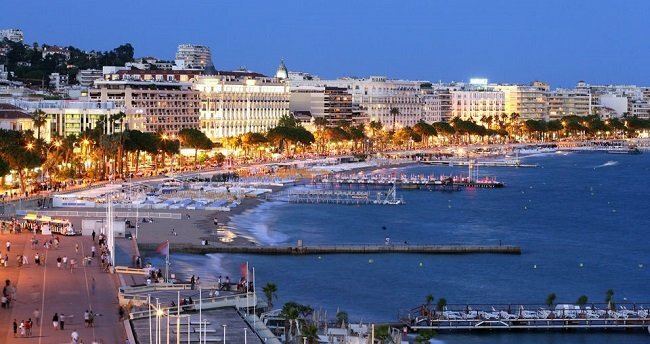 You will be able to walk along the famous Promenade de la Croisette, window shop in the boutiques, and walk the red carpet of the film festival. After an action-packed day your driver will take you back to Nice, dropping you off at your hotel. What Best of the French Riviera Full-Day Tour from Nice Includes? Hotel pick-up and drop-off and transport by luxury minibus with a multilingual driver/guide to keep you entertained and informed on the drive. Panoramic view of Villefranche-sur-mer and Saint-Jean-Cap-Ferrat. Perfume factory tour at Eze village. Monaco Cathedral and changing of the guards. Monte Carlo Grand Prix circuit and casino. Make sure to get the drivers phone number so that you can call him/her if you get lost and cannot find your way back to the minibus. Travelers Reviews about Best of the French Riviera Full-Day Tour from Nice? Travellers talking about this trip on GetYourGuide, Viator, and Tripadvisor give it fantastic reviews. People have described the day trip as "A great tour, the guide made it more fun." Everyone agrees that the drivers/guides are what make this trip special, they're all very friendly and informative and go out of their way to make sure everyone has a good time. People cannot speak highly enough of the trip and say it's well worth the money. They note that it's a full day with a lot of driving, an ideal way to get a quick overview of each destination in the smallest amount of time but that more time is required to see each place properly. Take a drink and snacks for the journey.